Are you a slave to the sweet stuff? Are you constantly going through sugar cravings, which leave you feeling sluggish, under par and putting on weight? If you’re determined to do a sugar detox, I’ve got some top tips on how to get you started. 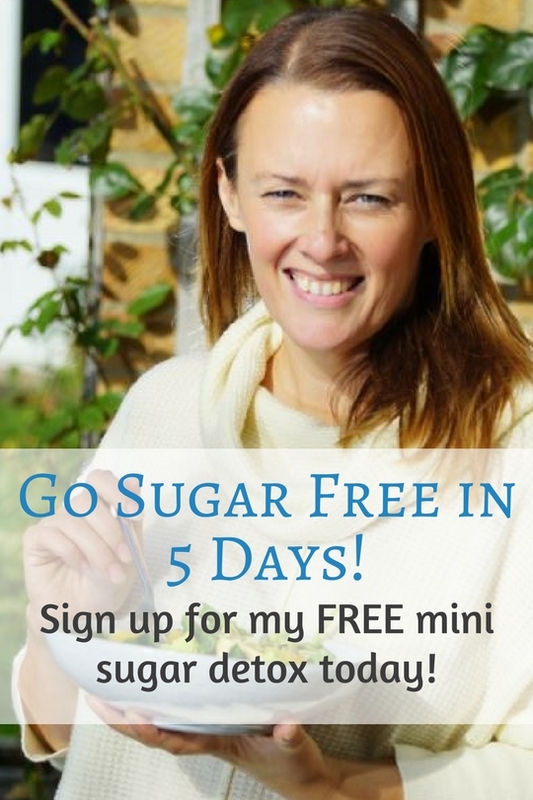 And don’t forget my 30 day Sugar Detox Programme, which is now available as an online course. I’m not saying we should never have sugar in our diet. I love an indulgent piece of cake or some chocolate now and again. The problem comes when you’re a slave to sweet things, when you cant get through the day without something sweet and need a sugar fix just to keep your eyes open. What you’re doing is consuming sugar instead of food to keep you going, and giving your body fast releasing instant energy which just won’t last. 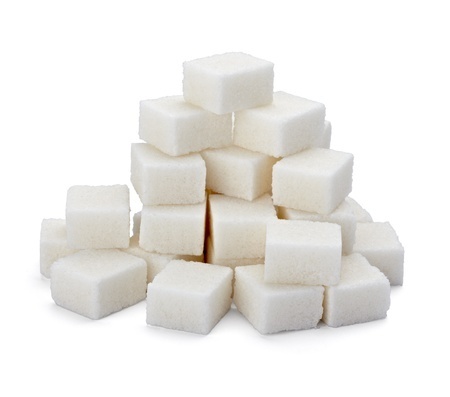 Sugar can also contribute to fat storage, especially around your tummy. When our blood sugar levels are constantly too high and too low, our body responds by releasing too much insulin, which sends the message to store fat and keep hold of it. By cutting sugar out (and getting the right stuff to replace it), we’re more likely to be able to manage a healthier weight or lose weight if needed. Sugar may also have an effect on our digestive health, feeding all the wrong kind of bacteria in our gut, which can lead to fermentation, bloating and lots of wind! For some, in my experience, it can contribute to altered bowel movement. Through its effects on beneficial bacteria levels, sugar can also affect our immune balance, weakening our immune army and leaving us more susceptible to infections and viruses. My top 3 tips for detoxing sugar! If you love sugar, the thought of doing without it can seem very daunting. However, in my experience of working with hundreds of clients, it only takes a week to dramatically reduce your sweet tooth. Say to yourself, I’m going just one week without sugar. Our brains seem to deal with that better than saying, “I’m never having sugar again!” Take all sweet things, as well as refined white carbohydrate out of your diet. Also keep to 2 pieces of fruit per day and no fruit juice. At about day 4 or 5, you might feel a little sluggish as your body gets used to working hard to break down energy, rather than having a fast releasing supply, but by the end of the week, you should find your cravings will dramatically reduce. Pack your meals with plenty of green leafy vegetables, salad, aubergine, peppers, courgettes and mushrooms, with a small handful of brown rice, sweet potato, squash, quinoa or wholegrain pasta. 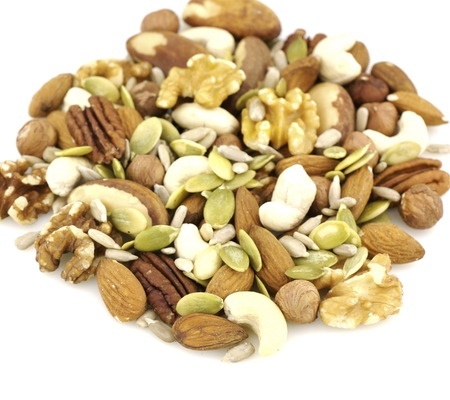 These also help to sustain a balanced blood sugar. Remember, if you have any health conditions or are diabetic, it’s important not to make changes to your diet without the support of a professional. Do speak to a Nutritional Therapist, dietician or your GP before making any changes. Good luck on your sugar detox challenge! Clean Eating... Foodie Fad or Fresh Thinking?